Nourishing masque for coloured hair. 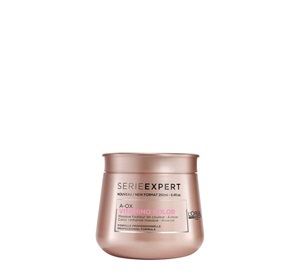 The nourishing Serie Expert A-OX Vitamino Color Masque 250ml targets weakened and damaged areas of coloured hair and wraps it into a lightweight film to protect against every day wear and tear. Apply to shampooed and damp towel-dried hair. Leave it on for 1 minute and then rinse thoroughly. 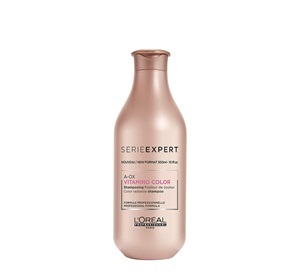 Colour-treated hair feels intensely nourished. 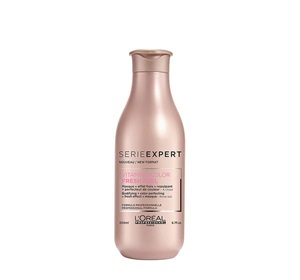 Buy L’Oreal Professionnel Series Expert A-OX Vitamino Color Masque 250ml on-line today at Riah Hair.